Whenever the default template does not fit a particular scenario you can use the SuggestionItemTemplate property to define a custom template. SuggestionItemTemplate (DataTemplate): Defines the template that will be used to create each of the suggestions. SuggestionItemTextColor: Defines the Text Color of the suggested item of the component. 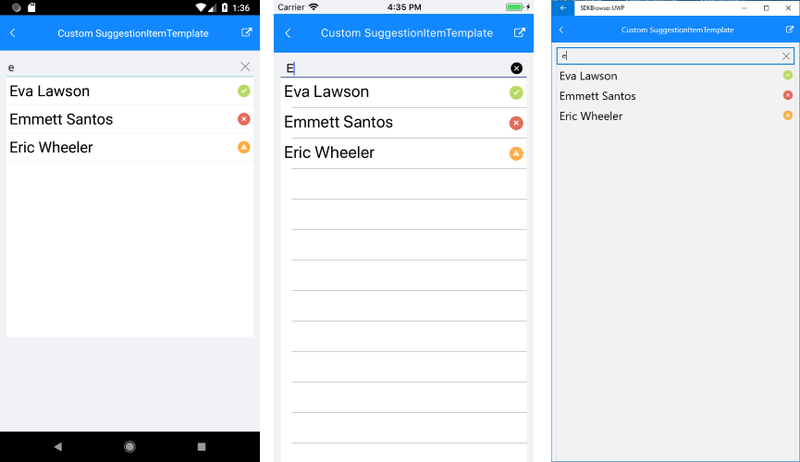 A sample SuggestionItemTemplate example can be found in the AutoCompleteView/Features folder of the SDK Samples Browser application.